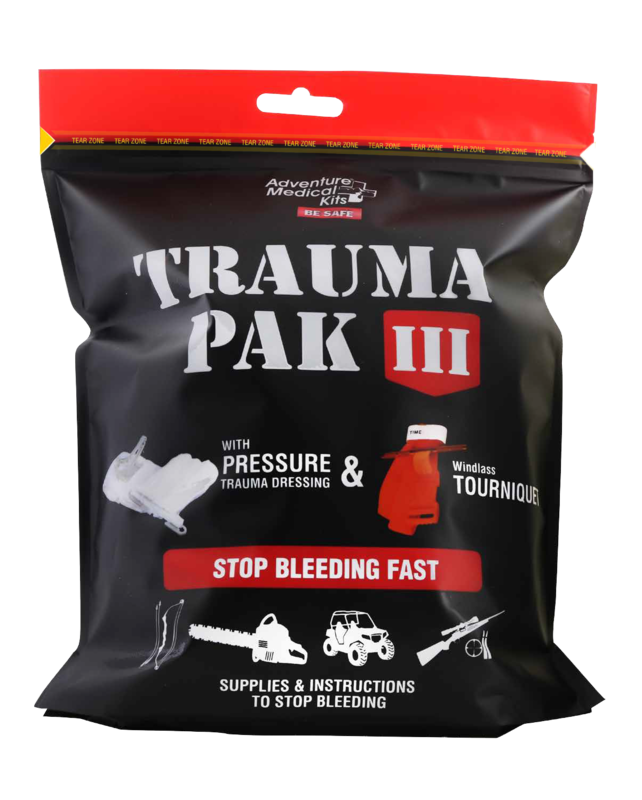 The Trauma Pak III puts professional supplies in civilian hands, empowering you to take action to stop bleeding as it occurs. The waterproof, resealable trauma bag contains military-style tools and emergency essentials like a windlass tourniquet, pressure trauma dressing (Israeli bandage), and EMT shears. Respond quickly to control severe bleeding. This trauma bag contains the essentials you need to stop bleeding in an easy-to-use format, perfect for a personal trauma kit or IFAK add-on. 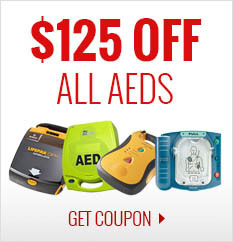 Prepare yourself with life-saving first aid information. This one-page guide outlines how to use the Trauma Pak III contents to stop bleeding in five easy-to-follow steps with illustrations. Apply direct pressure to wounds with the pressure trauma dressing (Israeli Bandage), which combines gauze, pressure bar, and trauma pad to stop bleeds using up to 40 lbs. of force. Stop persistent bleeds with the windlass tourniquet, the most well-known, military-style tourniquet, which can be applied over clothing for immediate response to life-threatening bleeds. Have the tools you need to stop severe bleeding wherever you go. The Trauma Pak III weighs only 8 oz. and is a compact addition to your glove box, range bag, backpack, or first aid kit. 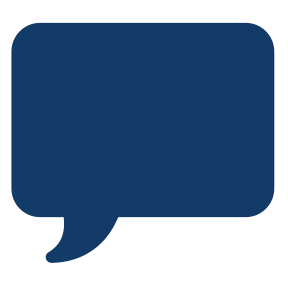 Follow medical best practices while providing emergency care. The trauma pack contains nitrile gloves for proper protection and a marker for writing the time on the tourniquet or patient notes.